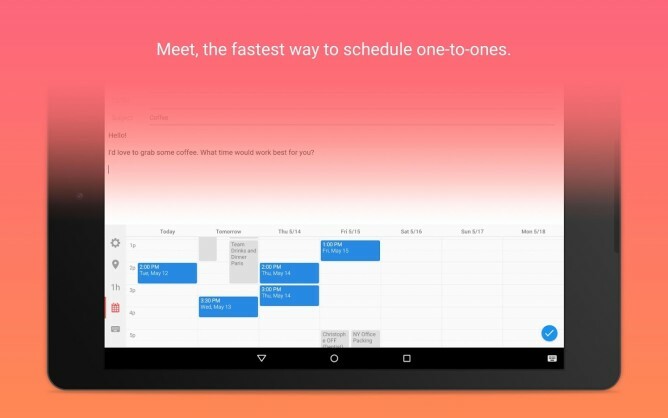 You can open Meet from any app—just use the Android system notification to switch your keyboard. 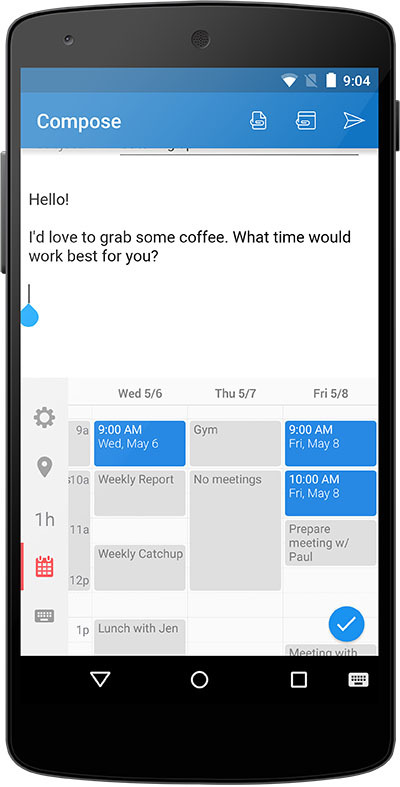 Meet displays your calendar availability in a scrollable frame so you can tap on a time and set a new appointment. Along the left are tabs where you can set duration, location, and more. Ideally, you'd open Meet when you're sending an email or message to someone with whom you'd like to see in meatspace. After you've created a new appointment on your end, you get a link that can be sent to the other person. They can accept or modify the invitation even if they don't use Sunrise. Meet will show your availability when they do this so you don't end up double-booked, but it doesn't actually show the content of you appointments to the other party. Forgive the iPhone video. I'm not necessarily convinced this is a faster way to add a calendar appointment, but it's certainly interesting. 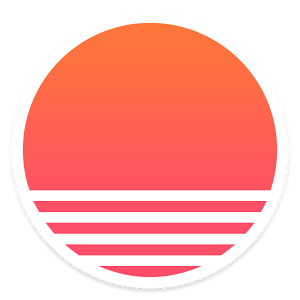 Sunrise Calendar is available for free. In case you forgot, Microsoft owns Sunrise now. Nice to know the app is still going strong.